Our artificial golf greens, golf putting greens and synthetic turf can be installed in your commercial area! 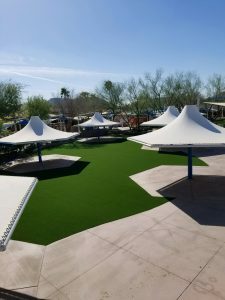 The benefits of installing one of our greens for your commercial area range from giving employees a way to reduce stress on their lunch breaks to having an area that requires little work and saves you money. 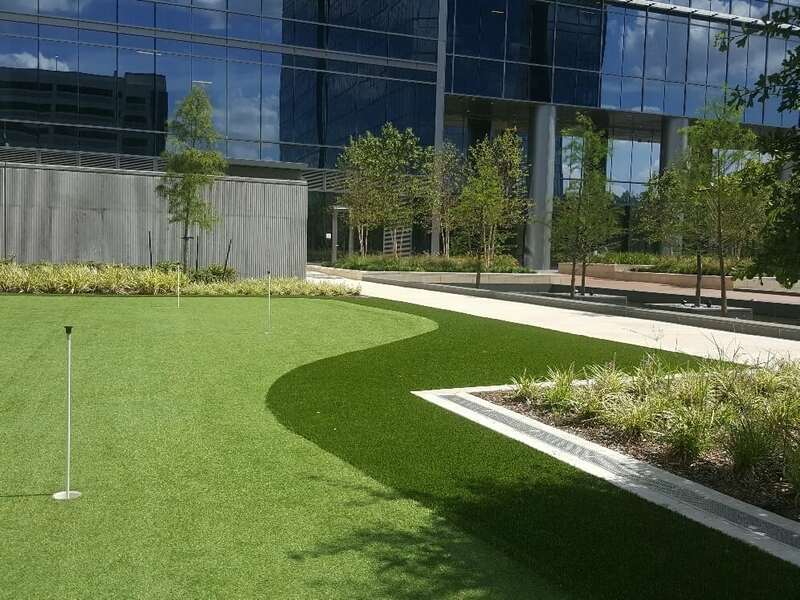 Our synthetic grass can be installed for apartment complexes, offices, playgrounds, schools, colleges and many more commercial areas. When you choose Celebrity Greens® to design and install your synthetic grass, golf green or golf putting green, you will be choosing a company that will provide expert construction and installation along with turf made from the best synthetics around. The integrity of our product and our customer service sets us apart from others in the business of artificial grass. We will custom design a synthetic to fit your area, meaning you’ll have a synthetic area unique to your space. Best of all, you’ll have the look of a beautifully green lawn without the fake look normally associated with artificial turf. Celebrity Greens® is proud to present to you our artificial golf greens, golf putting greens, tee lines, and synthetic turf grass. You can improve your commercial area by enhancing the look of your landscaping with our product. The best part, you’ll save money! You won’t have the usual upkeep of real grass to hit your pockets. If you have been looking for realistic synthetic turf, golf greens, tee lines, or putting greens for your commercial area, look no further. We can handle the design, construction and installation of our synthetic turf for your commercial area. Why wait, when a better alternative to real grass is just a phone call away?